It seems like any clear day we have any more, there are military jets out scouring the skies from morning til sunset, spraying huge plumes of white trails. You’ve seen these trails in the sky, and people think nothing of it because they credit them to contrails(condensation trails). Here, we will look deeper into the military’s role in modifying the weather through the charging of Earth’s ionosphere(big word for the blanket of air covering Earth). You see, the chemtrails in our sky do not seem to be anything more than a means to an end. And that end is not just weather modification. 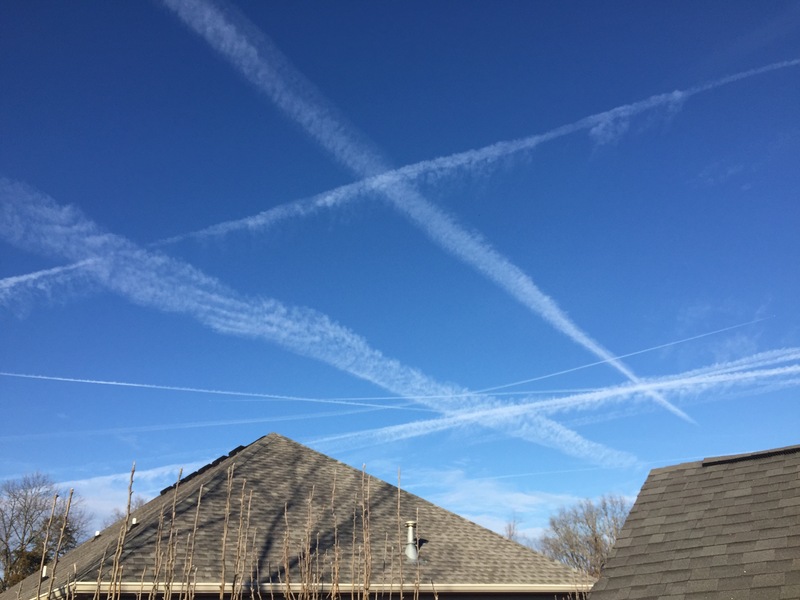 Lets take a closer look at what is going on in our skies, and see if it has anything to do with the drought in California, the earthquake that struck Fukushima, and the tidal wave that struck Indonesia. WHAT IS SO IMPORTANT ABOUT WEATHER MODIFICATION? If you could create sunny weather every day, with just the right amount of humidity in the air, and a slight breeze…would you? Well of course you would. And I would too. But if you gave that weather control to the hands of the U.S. Government, what would THEY do with it? And there are websites like THIS that are created solely to explain more about weather modification and warfare. As if it wasn’t hard enough to believe that weather modification IS possible, its even crazier to think HOW they do it? It all starts with an incoming storm front. In the United States, these flow from East to West, as a cold jet stream coming in from Russia over the Pacific Ocean. Historically, this turned into precipitation over California and then continued across the United States dumping snow or rain as it moved. Moving on, let’s learn more about how they modify the weather through the use of CHEMTRAILS (click link to move on).